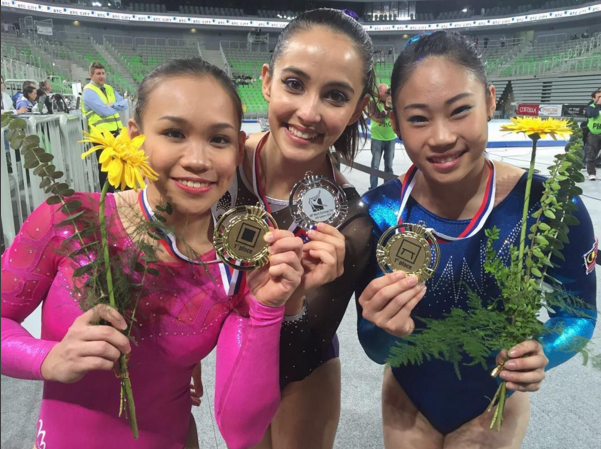 Home / celeb / farah ann / gymnast / news / olympics / sports / world cup / Malaysian gymnast Farah Ann creates history in Slovenia! 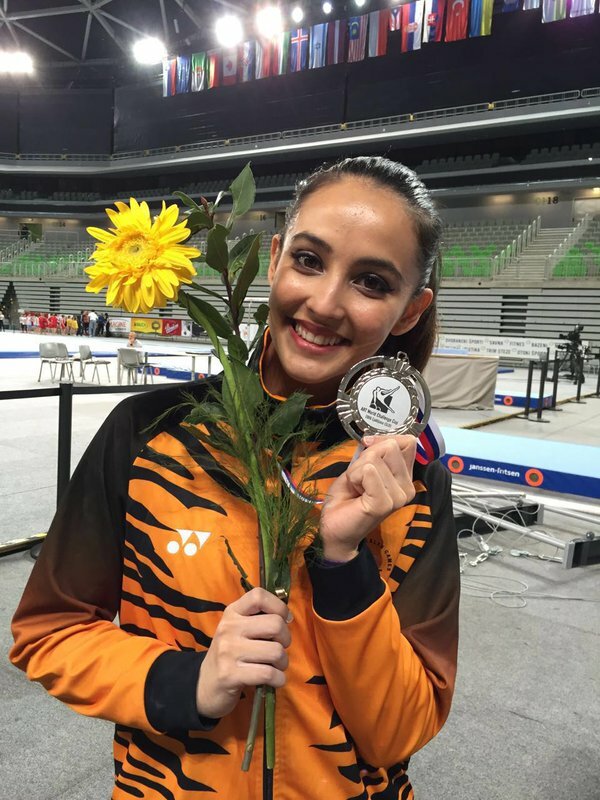 Malaysian gymnast Farah Ann creates history in Slovenia! 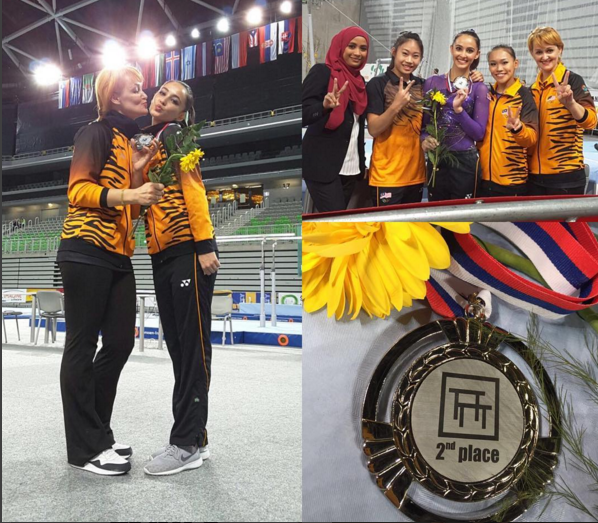 Malaysian artistic gymnast Farah Ann Abdul Hadi has made history, as she is the first Malaysian to win a medal for the artistic gymnastic discipline at the World Cup level. 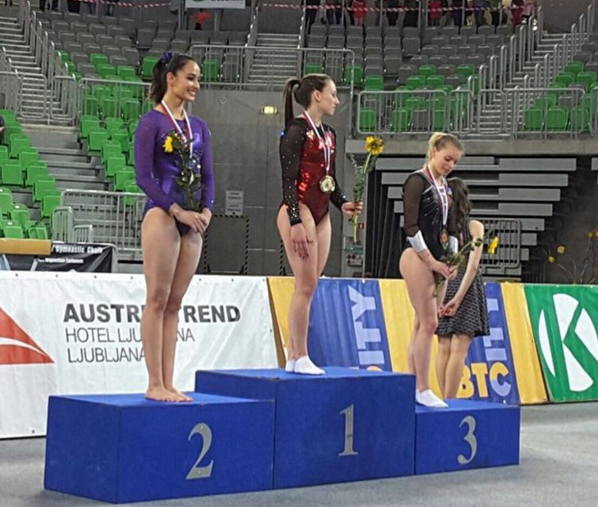 Wining herself a silver medal in the FIG World Challenge Cup in Ljubjlana, Slovenia, the 21-year-old gymnast was only 50 points behind champion Ivana Kamnikar from Slovenia in the women’s uneven bars final, with a total score of 13.100. The bronze medal went to Slovenian gymnast, Teja Belak, with 12.900 points. “I am very happy and thankful for the support of my coach, teammates, as well as my family and friends,” Farah Ann said to New Straits Times. “This is a good stepping stone for me (to qualify) for Rio and helps with my confidence level,” she explained. Farah will now head to the Olympic Test Event in Rio de Janeiro on 16 to 18 April, along with 40 other gymnasts. She is the only Asian among competitors and the upcoming test event will serve as the final chance for the young gymnast to qualify for the Olympics.